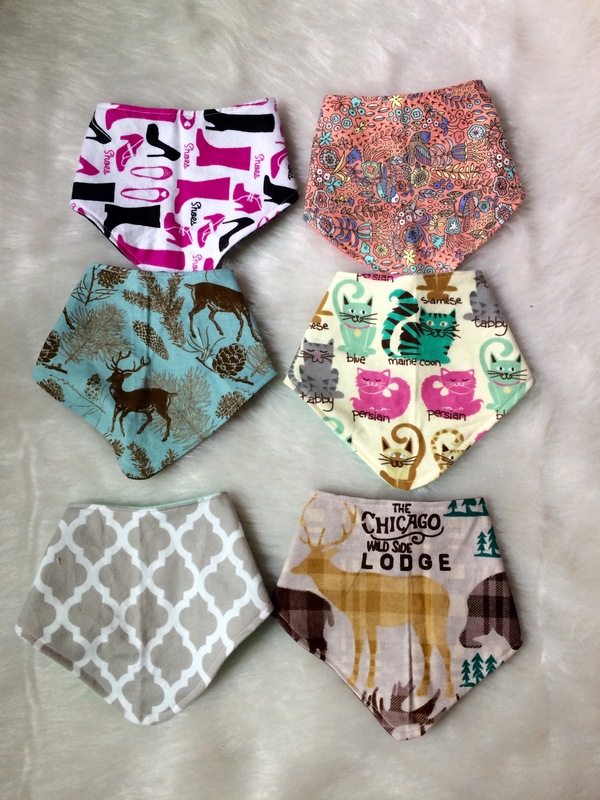 DIY Bandana Bibs with Video Tutorial! If you haven’t noticed, Emma and I are all about all things baby right now. Since we both were expecting in the late summer, we have focused a lot of our blog posts towards baby items! 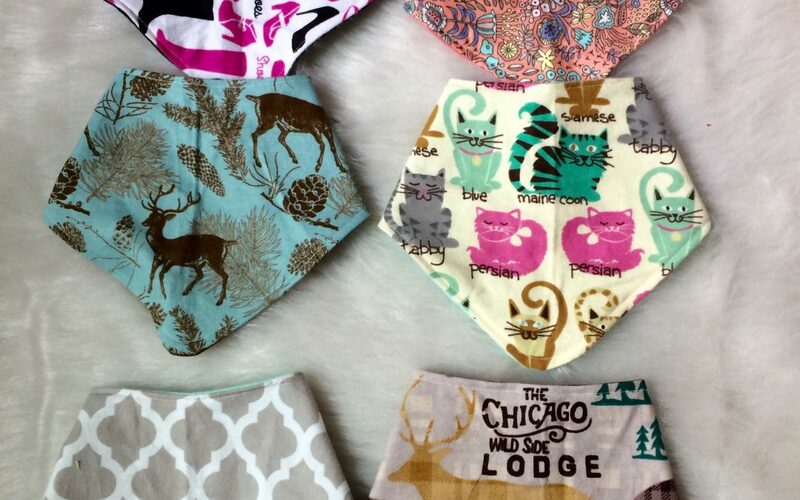 These bibs take the cake as one of the easiest sewing projects I have ever done. PS: I am NOT by any means a seamstress, so if I can make these bibs, so can you! These bibs make awesome baby shower gifts and you don’t have to use a lot of fabric, so you can easily grab an 1/8 of a yard of multiple different patterns to add some variety! -This video tutorial by Sam and Lure! What I love the most about this type of bandana bib is that you can make it any shape and size that you desire. You can even increase the size of the triangle pattern guide you use to make an adult sized one! Another idea to make these bibs even more useful is to use an extra layer of fabric (giving you three total layers) so that the bibs are more absorbent and slick away more of that lovely snot, drool, and spit up! MY favorite way to make these bibs is double sided, with a cute printed side and a neutral side so that I can style my babe however works the best!